Find out more about each level of the training pathway and the QI programme. Download the quality improvement resources here. Find out the latest news about the Gloucestershire Safety & Quality Improvement Academy. Information on past and present Quality Improvements at GHNHSFT. Through our courses, our students are provided with the knowledge, the skills, the opportunity and the support to contribute to patient safety and to make practical improvements to the way we provide care in our hospitals. Our aim is that our structured programmes will contribute to the development of a culture of continuous quality improvement within our Trust, where staff at all levels have the confidence to highlight areas for improvement and then have the skills, knowledge and support to be able to implement improvements. To develop a patient safety aware workforce with the knowledge, skills and confidence to continually strive for safety and quality improvement and excellence throughout the Gloucestershire Hospitals NHS Foundation Trust. To further develop a highly skilled, motivated and engaged workforce which continually strives to improve patient care and Trust performance. Do you need to raise funds for your Quality Improvement project? 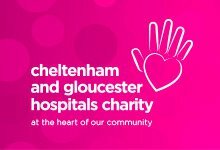 The Charity team at Cheltenham and Gloucester Hospitals Charity are here to transform the experience for local patients and their families by raising funds for extra care, specialist equipment and improvements to facilities. Q is an initiative connecting people with improvement expertise across the UK, led by the Health Foundation and supported and co-funded by NHS Improvement. Q’s mission is to foster continuous and sustainable improvement in health and care. We’re creating opportunities for people to come together as an improvement community – sharing ideas, enhancing skills and collaborating to make health and care better. A list of Trust staff who are members of the Q can be found in the Q directory. Is your Trust or Organisation looking for Quality Improvement training? If you would like to enquire about the GSQIA delivering Quality Improvement training to your staff either through access to our scheduled courses or by hosting a course at your facility, please get in touch at ghn-tr.GSQIA@nhs.net.